Forskolin Weight Loss Supplement works by elevating certain enzymes, hormones, and thyroid activity. The hormones and enzymes (specifically cAMP) that are activated play crucial roles in weight loss and breaking down fatty deposits. The thyroid is also crucial in weight loss because it regulates the metabolism. This increased metabolism will create energy that can last. This will also help in weight loss. The site does not have any research studies concerning Forskolin or its results. Forskolin occurs naturally in the Coleus Forskohlii root. The recommended dosage is one capsule twice daily 20 -30 minutes with water before a meal. This recommended dosage is the same as Forskolin Premium. It is not for anyone pregnant, breastfeeding, or under the age of 18. It is also worth noting that if any side effects are experienced, then you should contact a medical professional or your doctor immediately. After these three months, there is nothing else listed as to what is to be expected beyond those months. There are no discounts found listed. This is a little pricey. This product is more expensive than other comparable products that offer 20% Forskolin. Forskolin Weight Loss Supplement offers a 60 day 100% satisfaction guarantee. The guarantee states that they will refund 1 open bottle and any unopened bottles. 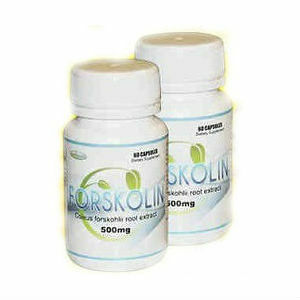 However, because the supplement is so expensive, we suggest that you keep looking fr a more suitable Forskolin product. Danny Wild	reviewed Herbal Slimming Forskolin	on December 18th	 and gave it a rating of 3.